It is very difficult to put a simple grade on a hike, just calling them easy, intermediate, or difficult. There are many factors involved in any hiking route that need to be considered when deciding if you are prepared to complete a certain hike. To help make this easier for our participants, we have developed a system that considers the technical difficulty of a hike as well as the fitness level involved. Level 1: Walking with a low chance of injury, sport shoes are okay for this level. 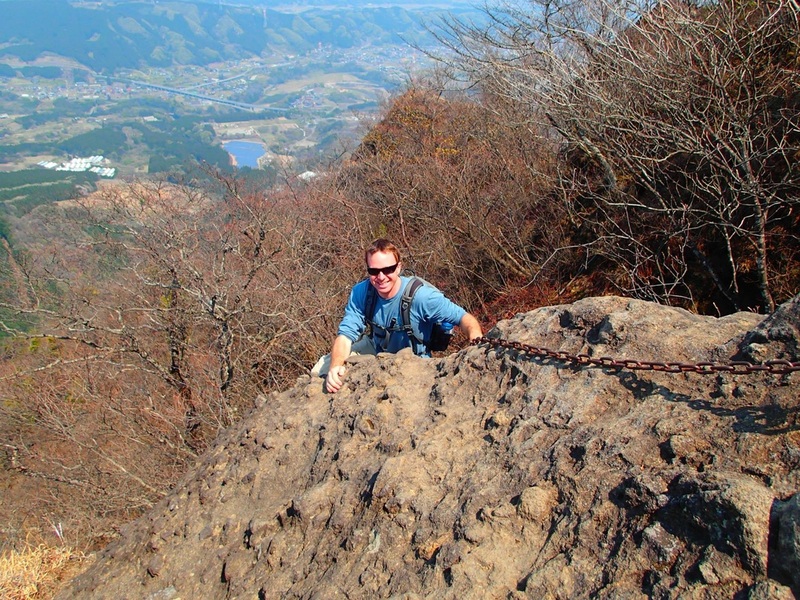 Level 2: Mountain climbing, with the possibility of occasional use of the hands or chains or ropes to move up the route. Little potential danger is encountered. Hiking Boots highly recommended. A: Easiest - Suitable for people of all ages who are in fair condition. Elevation gain of less than 300 meters and less than 10km of distance total. B: Easy - Suitable for people of most ages who have a basic fitness level. Elevation gain of less than 600 meters and less than 12km of distance total. D: Challenging - Regular hiking experience is required to participate in hikes at this level. Elevation gain of more than 1,000 meters and potentially more than 15km distinace in one day. Combination of significant elevation gain and long distance make this level a challenge for many. We combine the technical grade with the fitness level to get the grade of a hike. You can also click on the hike's title below to see a photo album from one of our previous hikes to get an idea. Any hike rated 3+ or D+ will require staff approval before your trip sign-up can be approved. There is a big difference between technical level 2 and 3, and this basically is related to the risk of injury if you fall, so we require sufficient hiking experience before you can join trips of those levels. Mizugaki-yama Day Hike - 2C - This hike is rated 2C because even though there is plenty of rock scrambling, there are no places where a fall would result in a bad injury. Total hiking distance round trip is 6km with about 700 meters of elevation gained. Myougi-san Extreme Hike - 3B - From a fitness perspective this hike is not very difficult to complete in one day at a slow pace, with only 6km of distance and 500 meters of elevation gained. This route though has a lot of rock scrambling as well as chain sections that carry a significant risk of injury if a fall occurs. ​Kita-dake 2 day Hike - 2D - The first day of this hike is the most difficult with 1,300 meters of elevation gained in 5km. There's some scrambling involved but nothing with high risk of falling. Overnight hikes add another element to consider. We usually offer the choice of a mountain hut or tent camping on our overnight trips. If you choose the tent camping option you will be carrying about 8~10kg more than you are accustomed to on day trips. If you are not used to carrying this weight then you should should look at hikes that are one level below your usual hiking level, or opt to stay in the mountain hut.